Final Fantasy VII [lower-alpha 1] is a 1997 role-playing video game developed by Square for the PlayStation console. It is the seventh main installment in the Final Fantasy series. Published in Japan by Square, it was released in other regions by Sony Computer Entertainment and became the first in the main series to see a PAL release. The game's story follows Cloud Strife, a mercenary who joins an eco-terrorist organization to stop a world-controlling megacorporation from using the planet's life essence as an energy source. Events send Cloud and his allies in pursuit of Sephiroth, a superhuman intent on destroying their planet. During the journey, Cloud builds close friendships with his party members, including Aerith Gainsborough, who holds the secret to saving their world. The PlayStation is a home video game console developed and marketed by Sony Computer Entertainment. The console was released on 3 December 1994 in Japan, 9 September 1995 in North America, 29 September 1995 in Europe, and 15 November 1995 in Australia. The console was the first of the PlayStation lineup of home video game consoles. It primarily competed with the Nintendo 64 and the Sega Saturn as part of the fifth generation of video game consoles. The Super Nintendo Entertainment System (SNES), also known as the Super NES or Super Nintendo, is a 16-bit home video game console developed by Nintendo that was released in 1990 in Japan and South Korea, 1991 in North America, 1992 in Europe and Australasia (Oceania), and 1993 in South America. In Japan, the system is called the Super Famicom (SFC). In South Korea, it is known as the Super Comboy and was distributed by Hyundai Electronics. The system was released in Brazil on August 30, 1993, by Playtronic. Although each version is essentially the same, several forms of regional lockout prevent the different versions from being compatible with one another. A CD-ROM is a pre-pressed optical compact disc that contains data. Computers can read—but not write to or erase—CD-ROMs, i.e. it is a type of read-only memory. 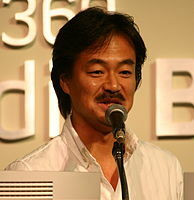 Hironobu Sakaguchi is a Japanese video game designer, director, producer, writer, and film director. 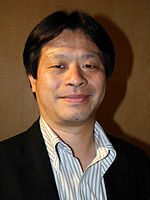 He is best known as creator of the Final Fantasy series, which he conceived the original concept for the first title Final Fantasy and also directed several later entries in the franchise, and has had a long career in gaming with over 100 million units of video games sold worldwide. He left Square Enix and founded a studio called Mistwalker in 2004. Language localisation is the process of adapting a product that has been previously translated into multiple languages to a specific country or region. It is the second phase of a larger process of product translation and cultural adaptation to account for differences in distinct markets, a process known as internationalisation and localisation. Final Fantasy VII Remake is an upcoming action role-playing game developed and published by Square Enix for the PlayStation 4. It is a remake of the 1997 PlayStation game Final Fantasy VII, retelling the original story following mercenary Cloud Strife as he and eco-terrorist group AVALANCHE battle against the corrupt Shinra megacorporation, and the rogue former Shinra soldier Sephiroth. Gameplay is planned to be a fusion of real-time action similar to Dissidia Final Fantasy and other strategic elements, and will be released as a multipart series. Eastern role-playing video games (RPGs) are RPGs developed in East Asia. Most Eastern RPGs are Japanese role-playing video games (JRPGs), developed in Japan. RPGs are also developed in South Korea and in China. "Game over" is a message in video games which signals to the player that the game has ended, usually received negatively in a situation where continued play is disallowed, such as losing all of one's lives or failing a critical objective, though it sometimes also appears after successful completion of a game. The phrase has since been turned into quasi-slang, usually describing an event that will cause significant harm, injury, or bad luck to a person. AVALANCHE destroys a Shinra Mako reactor in Midgar; an attack on another reactor goes wrong, and Cloud falls into the city slums. There, he meets Aerith and protects her from Shinra. Meanwhile, Shinra finds AVALANCHE and collapses part of the upper city, killing most of AVALANCHE along with the slum population below. Aerith is also captured; as a Cetra, she can potentially reveal the "Promised Land", which Shinra believes is overflowing with exploitable Lifestream energy. Cloud, Barret, and Tifa rescue Aerith; during their escape from Midgar, they discover that President Shinra was murdered by Sephiroth, who was presumed dead five years earlier. The party pursues Sephiroth across the Planet, with now-President Rufus on their trail; they are soon joined by the rest of the playable characters. At a Cetra temple, Sephiroth reveals his intentions to use the Black Materia to summon "Meteor", a spell that will hit the Planet with a devastating impact. Sephiroth will absorb the Lifestream as it attempts to heal the wound, becoming a god-like being. The party retrieves the Black Materia, but Sephiroth manipulates Cloud into surrendering it. Aerith departs alone to stop Sephiroth, following him to an abandoned Cetra city. 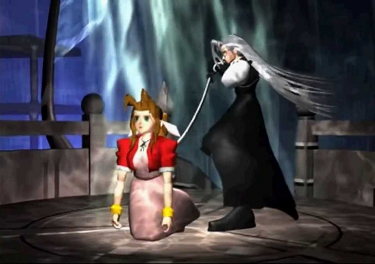 During her prayer to the Planet for help, Sephiroth attempts to force Cloud to kill her; failing, he kills her himself before fleeing and leaving the Black Materia behind. The party then learns of Jenova, a hostile alien lifeform whose remains were unearthed by Shinra scientists decades earlier; at Nibelheim, Jenova's cells were used to create Sephiroth. Five years before the game, Sephiroth and Cloud visited Nibelheim, where Sephiroth learned of his origins. Driven insane by this, he murdered the townspeople, then vanished when confronted by Cloud. At the Northern Crater, the party learns that the "Sephiroths" they have encountered are Jenova clones created by the insane Shinra scientist Hojo. Confronting the real Sephiroth as he is killing his clones to reunite Jenova's cells, Cloud is again manipulated into delivering the Black Materia. Sephiroth then taunts Cloud by showing another SOLDIER in Cloud's place in his memories of Nibelheim, suggesting that Cloud is a failed Sephiroth clone. Sephiroth summons Meteor and seals the Crater; Cloud falls into the Lifestream and the party is captured by Rufus. Escaping Shinra, the party discovers Cloud at an island hospital in a catatonic state from Mako poisoning; Tifa stays as his caretaker. When the island is attacked by a planetary defense force called Weapon, the two fall into the Lifestream,  where Tifa helps Cloud reconstruct his memories. Cloud was a mere infantryman who was never accepted into SOLDIER; the SOLDIER in his memories was his friend Zack. At Nibelheim, Cloud surprised and wounded Sephiroth after the latter's mental breakdown, but Jenova preserved Sephiroth's life. Hojo experimented on Cloud and Zack for four years, injecting them with Jenova's cells and Mako; they escaped, but Zack was eventually killed. The combined trauma of these events triggered an identity crisis in Cloud; he constructed a false persona around Zack's stories and his own fantasies. Cloud accepts his past and reunites with the party, who learn that Aerith's prayer to the Planet had been successful: the Planet had attempted to summon Holy to prevent Meteor's impact, but Sephiroth blocked Holy. Shinra fails to destroy Meteor but manages to defeat a Weapon and puncture the Northern Crater, costing the lives of Rufus and other personnel. After killing Hojo, who is revealed to be Sephiroth's biological father,  the party descends to the Planet's core through the opening in the Northern Crater and defeats both Jenova and Sephiroth. The party escapes and Holy is summoned, which destroys Meteor with the help of the Lifestream. Five hundred years later, Red XIII is seen with two cubs looking out over the ruins of Midgar, which are now covered in greenery, showing the planet has healed. Several characters from Final Fantasy VII have made cameo appearances in other Square Enix titles, most notably the fighting game Ehrgeiz and the popular Final-Fantasy-to-Disney crossover series Kingdom Hearts . Additionally, fighting video game Dissidia Final Fantasy includes Final Fantasy VII characters such as Cloud and Sephiroth, and allows players to fight with characters from throughout the Final Fantasy series, and its follow-up, Dissidia 012 Final Fantasy , included Tifa as well. Cloud is also a playable character in Final Fantasy Tactics. In 2015, Cloud was released as a downloadable content character for the Nintendo fighting game Super Smash Bros. for Nintendo 3DS and Wii U , along with a stage based on Midgar  and returned in Super Smash Bros. Ultimate . Cloud Strife is a fictional character and the main protagonist of Square's 1997 role-playing video game Final Fantasy VII and several of its sequels and spin-offs. In Final Fantasy VII, Cloud is a mercenary claiming to be formerly of SOLDIER, a group of elite supersoldiers employed by the Shinra Electric Power Company, a megacorporation responsible for draining the life from the planet. Fighting against Shinra in the resistance group AVALANCHE, and driven by a feud with the primary antagonist, Sephiroth, Cloud learns to accept his troubled past and adapts to his role as a leader. Cloud reappears as the protagonist in the 2005 computer-animated sequel film, Final Fantasy VII: Advent Children, in which he fights a new threat to the world while dealing with a sickness that infected his body. He acts in a supporting role in other Compilation of Final Fantasy VII titles, and is featured in several other games outside the Final Fantasy VII continuity. Additionally, he has been featured in Nintendo's Super Smash Bros. series, and the Kingdom Hearts series by Square Enix. Sephiroth is a fictional character and main antagonist in the role-playing video game Final Fantasy VII developed by Square. Character designer Tetsuya Nomura conceived and designed Sephiroth as an antagonist to - and direct physical opposite of - the game's main character, Cloud Strife. The character was voiced in Japanese by voice actor Toshiyuki Morikawa and in English by both Lance Bass in Kingdom Hearts and George Newbern in all his subsequent appearances. Final Fantasy VII: Advent Children is a 2005 Japanese computer-animated science fantasy action drama film directed by Tetsuya Nomura, written by Kazushige Nojima, and produced by Yoshinori Kitase and Shinji Hashimoto. Developed by Visual Works and Square Enix, Advent Children is part of the Compilation of Final Fantasy VII series of media, which is based in the world and continuity of the highly successful 1997 role-playing video game Final Fantasy VII. Final Fantasy VII: Advent Children was released on DVD and Universal Media Discs with Japanese voice acting in Japan on September 14, 2005, and on April 25, 2006, with English voice acting in North America and Europe. 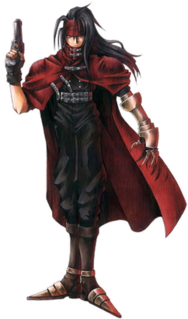 Vincent Valentine is a player character in Square's 1997 role-playing video game Final Fantasy VII. Designed by Tetsuya Nomura, he also appears in various titles from the Compilation of Final Fantasy VII, a metaseries set in the Final Fantasy VII continuity. Specifically, he is the protagonist in the 2006 third-person shooter Dirge of Cerberus: Final Fantasy VII and its mobile phone tie-in Dirge of Cerberus: Lost Episode. Vincent is voiced in Japanese by Shōgo Suzuki and in English by Steven Blum. Before Crisis: Final Fantasy VII is an action role-playing video game developed by Square Enix and originally released for the FOMA mobile service on September 24, 2004. It was later released for SoftBank Mobile and EZweb in 2007. Before Crisis is a prequel to the 1997 video game Final Fantasy VII and forms part of the Compilation of Final Fantasy VII, a metaseries expanding on and continuing the story established in Final Fantasy VII. It takes place six years prior to the events of Final Fantasy VII and focuses on the adventures of the Turks, a group of covert operatives working for the Shinra Electric Power Company, and their fights against both rebel group AVALANCHE and their corrupt employers. Barret Wallace is a player character in Square Enix's role-playing video game Final Fantasy VII. Created by character designer Tetsuya Nomura, he has since appeared in the CGI film sequel, Final Fantasy VII: Advent Children as well as other games and media in the Compilation of Final Fantasy VII series. As of Advent Children, Barret is voiced by Masahiro Kobayashi in Japanese and Beau Billingslea in English localizations. Tifa Lockhart is a fictional character in Square's role-playing video game Final Fantasy VII. Created and designed by Tetsuya Nomura, she has since appeared in the fighting game Ehrgeiz and made cameo appearances in several other titles, as well as the CGI film sequel to Final Fantasy VII, Advent Children and related games and media in the Compilation of Final Fantasy VII series. Yuffie Kisaragi is a video game character from Square Enix's Final Fantasy series. Designed by Tetsuya Nomura, she was first introduced in the 1997 role-playing video game Final Fantasy VII as a young female ninja princess and thief. She can become one of the game's player characters after finishing a special sidequest. Yuffie reappears in the Compilation of Final Fantasy VII series, expanding her background and showing her after the events of the original game. 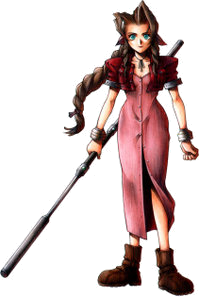 Aerith Gainsborough, transliterated as Aeris Gainsborough in the English releases of Final Fantasy VII and Final Fantasy Tactics—is a player character in Square's role-playing video game Final Fantasy VII. She was designed by Tetsuya Nomura with influence from Yoshinori Kitase, Hironobu Sakaguchi and Yoshitaka Amano. Zack Fair is a fictional character first introduced as a non-player character in the 1997 role-playing video game Final Fantasy VII by Square, and subsequently expanded upon in the metaseries Compilation of Final Fantasy VII. Last Order: Final Fantasy VII, also abbreviated as Last Order or LO, is a 2005 Japanese anime original video animation (OVA) produced by Madhouse and released by Square Enix. It was directed by Morio Asaka and produced by Masao Maruyama, Jungo Maruta, and Akio Ofuji. Tetsuya Nomura acted as the supervising director. The OVA is an alternate rendition of two flashbacks found within the 1997 video game Final Fantasy VII. Last Order was released in Japan with Advent Pieces: Limited, a special edition release of the film Final Fantasy VII: Advent Children, and as a bonus feature in the North American "Limited Edition Collector's Set" release of Advent Children. Final Fantasy VII, a role-playing video game developed by Square and originally released in 1997, features a large number of fictional characters in both major and minor roles. 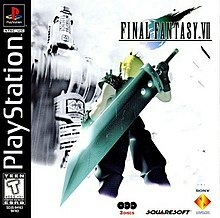 VII has been followed by multiple sequels and prequels, grouped into the multimedia series Compilation of Final Fantasy VII: these include the 2004 mobile game Before Crisis, the 2005 movie sequel Advent Children, the 2006 shooter spinoff Dirge of Cerberus, and the 2007 action game Crisis Core. Other media include spin-off books and the original video animation Last Order. The setting of Final Fantasy VII is a world that has been described as an industrial or post-industrial science fiction setting. It is referred to as "the Planet" in most of the games, and was retroactively named "Gaia" in some Square Enix promotional material. Motomu Toriyama is a Japanese game director and scenario writer who has been working for Square Enix since 1994. He initially worked on cutscenes in Bahamut Lagoon and Final Fantasy VII. Toriyama started directing with Final Fantasy X-2 and has continued doing so with large-scale projects such as Final Fantasy XIII and its sequels Final Fantasy XIII-2 and Lightning Returns: Final Fantasy XIII. Since 2003, he has been directing his own team of scenario writers at the company. He is currently directing Mobius Final Fantasy and is a member of Square Enix's Business Division 1, and part of the Final Fantasy Committee that is tasked with keeping the franchise's releases and content consistent. Crisis Core: Final Fantasy VII is an action role-playing game developed and published by Square Enix for the PlayStation Portable. First released in 2007, the game is a prequel to the 1997 video game Final Fantasy VII and is a part of the metaseries Compilation of Final Fantasy VII, which includes other products related to the original game. Tetsuya Nomura is a Japanese video game artist, designer and director working for Square Enix. He designed characters for the Final Fantasy series, debuting with Final Fantasy VI and continuing with various later installments. Additionally, Nomura has led the development of the Kingdom Hearts series since its debut in 2002 and was the director for the CGI film Final Fantasy VII: Advent Children. 1 2 3 4 5 Kasavin, Greg (September 29, 1997). "Final Fantasy VII Review". GameSpot . CBS Interactive. Archived from the original on October 21, 2013. Retrieved January 21, 2017. 1 2 3 "Final Fantasy VII (Greatest Hits)". Allgame. Rovi Corporation. Archived from the original on January 2, 2010. Retrieved September 4, 2012. 1 2 3 4 5 6 7 8 9 10 Square Co. Ltd. (1997). Final Fantasy VII North American instruction manual. Sony Computer Entertainment. SCUS-94163. 1 2 3 4 5 Boor, Jay (September 3, 1997). "Final Fantasy VII Review". IGN . News Corporation. Archived from the original on May 16, 2008. Retrieved July 16, 2008. 1 2 1UP Staff (January 1, 2000). "Final Fantasy VII Review". 1UP.com. Archived from the original on June 10, 2016. Retrieved July 16, 2008. ↑ "Final Fantasy VII: The Materia System". Electronic Gaming Monthly . No. 93. Ziff Davis. April 1997. p. 69. ↑ "Interview: Kosei Ito Q&A" (in Japanese). ITmedia. 2004. Archived from the original on August 17, 2010. Retrieved December 16, 2014. 1 2 3 4 5 McLaughlin, Rus (April 30, 2008). "IGN Presents: The History of Final Fantasy VII". IGN . Ziff Davis. Archived from the original on December 8, 2009. Retrieved September 14, 2008. ↑ Studio BentStuff, ed. (2005). Final Fantasy VII Ultimania Ω (in Japanese). Square Enix. pp. 216–217. ISBN 978-4-7575-1520-8. ↑ "Final Fantasy". Official U.S. PlayStation Magazine . Ziff Davis (47): 16. August 2001. ↑ FFVIIスクウエアPSに参入. Dengeki PlayStation (in Japanese). ASCII Media Works (17): 14–15. February 14, 1996. ↑ Dun, Teresa (February 2008). "Complete Final Fantasy VII Character Guide". PlayStation: The Official Magazine (60). ↑ Studio BentStuff, ed. (2005). Final Fantasy VII Ultimania Ω (in Japanese). Square Enix. p. 217. ISBN 978-4-7575-1520-8. 1 2 Studio BentStuff, ed. (2005). Final Fantasy VII Ultimania Ω (in Japanese). Square Enix. p. 59. ISBN 978-4-7575-1520-8. ↑ Studio BentStuff, ed. (2005). Final Fantasy VII Ultimania Ω (in Japanese). Square Enix. p. 30. ISBN 978-4-7575-1520-8. ↑ SoftBank, ed. (2006). Final Fantasy VII Advent Children: Reunion Files (in Japanese and English). Square Enix. pp. 52–53. ISBN 978-4-7973-3498-2. ↑ Studio BentStuff, ed. (2005). Final Fantasy VII Ultimania Ω (in Japanese). Square Enix. p. 57. ISBN 978-4-7575-1520-8. ↑ Square Co (September 7, 1997). Final Fantasy VII. PlayStation. SCE America. Shera: He pushed the Emergency Engine Shut Down switch, aborting the mission, to save my life. After that, the Space Program was cut back and the launch was canceled. ↑ Studio BentStuff, ed. (2005). Final Fantasy VII Ultimania Ω (in Japanese). Square Enix. p. 46. ISBN 978-4-7575-1520-8. ↑ Studio BentStuff, ed. (2005). Final Fantasy VII Ultimania Ω (in Japanese). Square Enix. pp. 56, 58. ISBN 978-4-7575-1520-8. 1 2 3 Studio BentStuff, ed. (2005). Final Fantasy VII Ultimania Ω (in Japanese). Square Enix. p. 198. ISBN 978-4-7575-1520-8. ↑ Studio BentStuff, ed. (2005). Final Fantasy VII Ultimania Ω (in Japanese). Square Enix. pp. 210–215. ISBN 978-4-7575-1520-8. ↑ Square (September 7, 1997). Final Fantasy VII. PlayStation. SCE America. Ifalna: A small number of the surviving Cetra defeated Jenova, and confined it. 1 2 3 4 5 6 7 8 9 10 11 12 「ファイナルファンタジー」２５周年 — ファイナルファンタジーVII. Famitsu . Enterbrain (1224). May 10, 2012. ↑ Square Co (September 7, 1997). Final Fantasy VII. PlayStation. SCE America. Aerith: You okay? This is a church in the Sector 5 slums. [You] suddenly fell on top of me. You really gave me quite a scare. / Cloud: ......I came crashing down? / Aerith: The roof and the flower bed must have broken your fall. You're lucky. ↑ Square Co (September 7, 1997). Final Fantasy VII. PlayStation. SCE America. Aerith: Say, Cloud. Have you ever been a bodyguard? You DO do everything, right? / Cloud: Yeah, that's right. / Aerith: Then, get me out of here. ↑ Square Co (September 7, 1997). Final Fantasy VII. PlayStation. SCE America. Cloud: Why is Shinra after Aerith? / Elmyra: Aerith is an Ancient Cetra. The sole survivor. ↑ Square Co (September 7, 1997). Final Fantasy VII. PlayStation. SCE America. President Shinra: She's the last surviving Ancient... Don't you know? They called themselves the Cetra and lived thousands of years ago. Now they are just a forgotten page in history. / Red XIII: Cetra... That girl, is she a survivor of the Cetra? / President Shinra: Cetra, or the Ancients will show us the way to the 'Promised Land.' I'm expecting a lot out of her. / Red XIII: The Promised Land? Isn't that just a legend? / President Shinra: Even so, it's just too appealing to not to pursue. It's been said the Promised Land is very fertile. ...If the land is fertile... / Barret: Then there's gotta be Mako! / President Shinra: Exactly. That is why our money-sucking Mako Reactor is a necessity. The abundant Mako will just come out on its own. ↑ Square Co (September 7, 1997). Final Fantasy VII. PlayStation. SCE America. Cloud: ...Did it get away? Jenova...? / Red XIII: Jenova Specimen... Looks like it went to the upper floor using that elevator for the specimens. ↑ Square Co (September 7, 1997). Final Fantasy VII. PlayStation. SCE America. Aerith: How do you intend to become one with the Planet? / Sephiroth: It's simple. Once the Planet is hurt, it gathers Spirit Energy to heal the injury. The amount of energy gathered depends on the size of the injury. ...What would happen if there was an injury that threatened the very life of the Planet? Think how much energy would be gathered! Ha ha ha! And at the center of that injury, will be me. All that boundless energy will be mine. By merging with all the energy of the Planet, I will become a new life form, a new existence. Melding with the Planet... I will cease to exist as I am now. Only to be reborn as a "god" to rule over every soul. / Aerith: An injury powerful enough to destroy the Planet? Injure... the Planet? / Sephiroth: Behold that mural. The Ultimate Destructive Magic... Meteor. 1 2 3 Studio BentStuff, ed. (2005). Final Fantasy VII Ultimania Ω (in Japanese). Square Enix. pp. 210–215. ISBN 978-4-7575-1520-8. ↑ Square Co (September 7, 1997). Final Fantasy VII. PlayStation. SCE America. Cloud: Sephiroth! I know you're listening! I know what you want to say! That I wasn't in Nibelheim five years ago. That's it, isn't it? / Sephiroth: I see you finally understand. / Cloud: But, I want to ask you one thing. Why... why are you doing this? / Sephiroth: Ha, ha, ha...... I want to take you back to your real self. The one who gave me the Black Materia that day... Who would have ever thought a failed experiment would prove so useful? Hojo would die if he knew. / Cloud: Hojo!? What does he have to do with me!? / Sephiroth: Five years ago you were... ...constructed by Hojo, piece by piece, right after Nibelheim was burnt. A puppet made up of vibrant Jenova cells, her knowledge, and the power of Mako. ↑ Studio BentStuff, ed. (2005). Final Fantasy VII Ultimania Ω (in Japanese). Square Enix. p. 58. ISBN 978-4-7575-1520-8. ↑ Square (September 7, 1997). Final Fantasy VII. PlayStation. SCE America. Cloud: I never was in SOLDIER. I made up the stories about what happened to me five years ago, about being in SOLDIER. I left my village looking for glory, but never made it in to SOLDIER...... I was so ashamed of being so weak; then I heard this story from my friend Zack... And I created an illusion of myself made up of what I had seen in my life..... And I continued to play the charade as if it were true. ↑ Studio BentStuff, ed. (2005). Final Fantasy VII Ultimania Ω (in Japanese). Square Enix. p. 591. ISBN 978-4-7575-1520-8. 1 2 3 4 5 6 7 8 9 10 11 12 13 14 15 16 17 18 19 20 21 22 23 24 25 26 27 28 29 30 31 Leone, Matt (January 9, 2017). "Final Fantasy 7: An oral history". Polygon . Vox Media. Archived from the original on January 9, 2017. Retrieved January 11, 2017. 1 2 3 4 5 6 "The Making Of: Final Fantasy VII". Edge . Future plc (123): 108–113. May 2003. Archived from the original on May 9, 2012. ↑ "Final Fantasy VII". Computer and Video Games. Future plc (174): 106–111. May 1996. 1 2 3 4 5 6 7 8 9 "Final Fantasy VII – 1997 Developer Interviews". Shmuplations. Archived from the original on September 23, 2016. Retrieved January 13, 2016. 1 2 3 "Yoshinori Kitase interview". LEVEL (in Swedish). Reset Media (25). May 2008. 1 2 "Exclusive Preview! Final Fantasy VII". Electronic Gaming Monthly . Ziff Davis (82): 78–79. May 1996. 1 2 Square Enix (1997). SquareSoft on PlayStation Collector's Video (VHS) (in Japanese). Square Enix. ASIN B004FD5BLQ. 1 2 3 4 5 6 7 8 "Final Fantasy VII: An Interview With Squaresoft". Computer and Video Games . Future plc (191): 53–59. October 1997. Archived from the original on March 11, 2016. ↑ "Essential 50: Final Fantasy VII". 1UP.com . Ziff Davis. Archived from the original on July 21, 2012. Retrieved March 22, 2011. ↑ Stanton, Rick (June 2, 2013). "Final Fantasy 7 retrospective - The game that killed Squaresoft". Eurogamer . Gamer Network. Archived from the original on March 26, 2016. Retrieved May 5, 2016. ↑ "Final Fantasy VIII Kitase, Nojima, Naora and Nomura Interview". Official UK PlayStation Magazine (71). February 2001. Retrieved November 15, 2009. ↑ Gantayat, Anoop (January 31, 2011). "Latest on Final Fantasy Type-0". Andriasang.com. Archived from the original on March 3, 2016. Retrieved February 21, 2014. 1 2 Parish, Jeremy (May 14, 2016). "The Final Fantasist: A Conversation With Yoshitaka Amano". USGamer . Gamer Network. Archived from the original on May 12, 2016. Retrieved May 10, 2016. ↑ Juba, Joe (April 27, 2016). "The Art That Shaped Final Fantasy: Thoughts From Famed Artist Yoshitaka Amano". Game Informer . GameStop. Archived from the original on April 29, 2016. Retrieved May 14, 2016. 1 2 3 Studio BentStuff, ed. (2007). Final Fantasy VII 10th Anniversary (in Japanese). Square Enix. pp. 8–13. ISBN 978-4-7575-2560-3. 1 2 3 4 "FFVII Not Being Remade -- Nomura". IGN . Ziff Davis. June 4, 2007. Archived from the original on March 28, 2016. Retrieved December 9, 2013. 1 2 GameTrailers (August 13, 2007). Final Fantasy Retrospective - Part V (Video). YouTube. 1 2 3 Gouskos, Carrie. "Lucky Seven". GameSpot. Retrieved September 6, 2008. 1 2 Kuo, Li C. (June 25, 2007). "Readers' Choice Top 10 Most Cinematic Moments in Gaming". GameSpy. Archived from the original on October 15, 2007. Retrieved October 16, 2007. 1 2 "#1 - Aerith's Death". Top 100 Video Game Moments. IGN. December 2011. Archived from the original on January 18, 2017. Retrieved January 12, 2012. 1 2 3 ゲーム・マエストロ Vol.4 デザイナー/イラストレーター編[Game Maestro Vol. 4: Designer/Illustrator Volume] (in Japanese). Mainichi Communications. May 18, 2001. ISBN 978-4839903879. ↑ ファイナルファンタジーVII 解体真書 ザ・コンプリート[Final Fantasy VII: Book of Deconstructions - The Complete] (in Japanese). Aspect. July 31, 2000. p. 33. ISBN 978-4-7577-0098-7. 1 2 Gantayat, Anoop (May 16, 2012). "Nomura, Kitase and Nojima Discuss Final Fantasy VII's Development". Andriasang.com. Archived from the original on March 13, 2016. Retrieved January 13, 2016. ↑ "An Interview with Hironobu Sakguchi". Next Generation . No. 22. Imagine Media. October 1996. p. 84. ↑ Mitsuda, Yasunori (November 1999). "My Friends: Masato Kato". Our Millennial Fair. Procyon Studio. Archived from the original on January 27, 2011. Retrieved December 29, 2010. ↑ Schreier, Jason (September 2, 2014). "Things Are Very Different For The Creator Of Final Fantasy". Kotaku . Gakwer Media. Archived from the original on August 24, 2016. Retrieved January 13, 2016. ↑ "You Should Know This Game: Final Fantasy VII". Computer and Video Games. Future plc (185): 88. April 1994. Archived from the original on March 17, 2016. 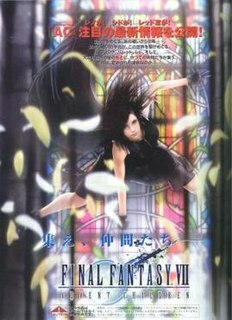 ↑ ファイナルファンタジーVII 解体真書 ザ・コンプリート[Final Fantasy VII: Book of Deconstructions - The Complete] (in Japanese). Aspect. July 31, 2000. p. 215. ISBN 978-4-7577-0098-7. 1 2 McLaughlin, Rus (April 30, 2008). "IGN Presents: The History of Final Fantasy VII". IGN . News Corporation. p. 1. Archived from the original on January 28, 2014. Retrieved January 11, 2017. 1 2 Schweitzer, Ben; Gann, Patrick (June 17, 2006). "Final Fantasy VII OST". RPGFan. Archived from the original on February 7, 2013. Retrieved July 28, 2008. ↑ "Nobuo Uematsu Interview". RPGamer. July 8, 2000. Archived from the original on September 30, 2012. Retrieved August 5, 2008. ↑ Mielke, James (February 15, 2008). "A Day in the Life of Final Fantasy's Nobuo Uematsu". 1UP.com. Archived from the original on July 16, 2012. ↑ ＦＩＮＡＬ　ＦＡＮＴＡＳＹ　ＶＩＩ　Ｏｒｉｇｉｎａｌ　Ｓｏｕｎｄ　Ｔｒａｃｋ (in Japanese). Oricon. Archived from the original on October 22, 2012. Retrieved June 24, 2010. ↑ "『FF XIII』サウンドトラックが初日TOP3入り" (in Japanese). Oricon. January 28, 2010. Archived from the original on January 20, 2013. Retrieved February 3, 2010. ↑ Gann, Patrick (June 23, 2000). "Final Fantasy VII Reunion Tracks". RPGFan. Archived from the original on January 16, 2013. Retrieved July 28, 2008. ↑ ファイナルファンタジーⅦ／リユニオン・トラックス (in Japanese). Oricon. Archived from the original on October 22, 2012. Retrieved June 24, 2010. ↑ Gann, Patrick (February 25, 2004). "Piano Collections Final Fantasy VII". RPGFan. Archived from the original on January 16, 2013. Retrieved July 28, 2008. ↑ Ｐｉａｎｏ　Ｃｏｌｌｅｃｔｉｏｎｓ　ＦＩＮＡＬ　ＦＡＮＴＡＳＹ　Ⅶ (in Japanese). Oricon. Archived from the original on October 22, 2012. Retrieved June 24, 2010. ↑ 【電撃PS 20周年】スクウェアが『FFVII』を引っ提げてPSに参入。業界が騒然となったあの時――【1995年10月～1996年3月】. Dengeki Online (in Japanese). ASCII Media Works. June 18, 2014. Archived from the original on November 23, 2016. Retrieved January 14, 2017. ↑ Nelson, David D. (September 6, 2013). "A Final Fantasy VI Remake Was Once A Reality". PSExtreme. PSExtreme. Archived from the original on October 21, 2016. Retrieved January 14, 2017. ↑ ファイナルファンタジーVII / Square Enix. Square Enix (in Japanese). Square Enix. Archived from the original on December 17, 2016. Retrieved January 14, 2017. ↑ 大賞／シナリオ部門賞／サウンド部門賞 - ファイナルファンタジーVII. Japan Game Awards . Japan Game Awards. 1997. Archived from the original on March 20, 2016. Retrieved January 14, 2017. ↑ ファイナルファンタジーVII インターナショナル. Square Enix (in Japanese). Square Enix. Archived from the original on April 27, 2016. Retrieved January 15, 2017. 1 2 3 4 "Q&A - Square Enix's Richard Honeywood". Edge Online. February 2006. Archived from the original on May 17, 2006. Retrieved March 28, 2013. ↑ Gantayat, Anoop (August 31, 2012). "Full Final Fantasy 25th Anniversary Ultimate Box Game List". Andriasang.com. Andriasang.com. Archived from the original on October 19, 2012. Retrieved September 2, 2012. ↑ "PlayStation at E3: 1996". PlayStation Blog . Sony Interactive Entertainment. June 3, 2010. Archived from the original on September 28, 2015. Retrieved January 14, 2017. ↑ "PlayStation's Final Fantasy VII Marketing Blitz Continues". Business Wire . The Free Library. August 27, 1997. Archived from the original on November 26, 2014. Retrieved July 16, 2008. ↑ Parish, Jeremy (November 26, 2014). "Where Final Fantasy Went Wrong, and How Square Enix is Putting It Right". USGamer . Gamer Network. Archived from the original on May 10, 2016. Retrieved January 14, 2017. ↑ "Square Enix Announces Release Date of Final Fantasy VII: Advent Children". Square Enix. May 15, 2005. Archived from the original on March 28, 2016. Retrieved March 18, 2013. ↑ "SCEE 1997 - Key facts and figures". Sony Computer Entertainment. 1997. Archived from the original on March 26, 2006. Retrieved November 25, 2006. ↑ Langsaw, Mark; Martin, Liam (December 8, 2015). "Everything you need to know about Final Fantasy VII Remake, including news, trailers and release dates". Digital Spy . Hearst Magazines UK. Archived from the original on December 11, 2015. Retrieved January 14, 2017. 1 2 Alexander, Leigh (April 10, 2009). "Square Enix's Final Fantasy VII Hits Japanese PSN". Gamasutra . UBM TechWeb. Archived from the original on November 14, 2013. Retrieved January 14, 2017. ↑ "Final Fantasy VIII Interview". IGN . Ziff Davis. October 2, 1999. Archived from the original on January 14, 2017. Retrieved January 14, 2017. 1 2 "Yamaha Corporation licenses its XG Soft Synthesizer to Square Soft". Yamaha Corporation. April 21, 1998. Archived from the original on February 2, 2008. Retrieved May 24, 2010. ↑ "Eidos Interactive Acquires Exclusive PC Rights to Epic Role-Playing Game Final Fantasy VII". Coming Soon Magazine. Coming Soon Magazine. December 5, 1997. Archived from the original on December 10, 2015. Retrieved January 14, 2017. ↑ "Finalizing the Fantasy". Electronic Gaming Monthly . Ziff Davis (94): 91–94. May 1997. 1 2 3 Fenlon, Wesley (April 15, 2012). "GameSpite Quarterly Interview: Richard Honeywood on The Rise of Square Localization". Wesley Fenlon Blog. Wesley Fenlon Blog. Archived from the original on December 26, 2016. Retrieved January 15, 2016. ↑ Campbell, Colin (May 1997). "Final Fantasy Mania". Next Generation . No. 29. Imagine Media. p. 30. ↑ Majeb, Athab (June 2, 2009). "Final Fantasy VII hitting PSN today". Joystiq . AOL. Archived from the original on June 11, 2009. Retrieved January 15, 2017. ↑ "FINAL FANTASY VII For PC Out Now". Official Square Enix NA Blog. August 14, 2012. Archived from the original on June 2, 2017. ↑ "FINAL FANTASY VII For PC Out Now". Official Square Enix EU Blog. August 14, 2012. Archived from the original on August 16, 2012. ↑ Elliot, Phil (July 4, 2013). "Final Fantasy VII launches on Steam!". Official Square Enix NA Blog. Square Enix. Archived from the original on June 18, 2017. ↑ Elliot, Phil (July 4, 2013). "Final Fantasy VII launches on Steam!". Official Square Enix EU Blog. Square Enix. Archived from the original on July 7, 2013. ↑ "FINAL FANTASY VII [PC DOWNLOAD] (Steam)". Square Enix NA Online Store. Archived from the original on July 28, 2016. Retrieved June 2, 2017. ↑ "FINAL FANTASY VII [PC DOWNLOAD] (Steam)". Square Enix EU Online Store. Archived from the original on June 2, 2017. Retrieved June 2, 2017. ↑ 『FFVII インターナショナル for PC』本日発売、PC版『FFVIII』の発売も決定！. Famitsu (in Japanese). Enterbrain. May 16, 2013. Archived from the original on May 22, 2016. Retrieved January 15, 2017. ↑ Kamen, Matt (August 19, 2015). "Final Fantasy VII iOS is finally here". Wired UK . Condé Nast Publications. Archived from the original on September 21, 2016. Retrieved August 19, 2015. ↑ Conditt, Jessica (December 5, 2015). "'Final Fantasy VII' is out today on PlayStation 4". Engadget . AOL. Archived from the original on December 6, 2015. Retrieved January 15, 2017. ↑ McWhertor, Michael. "Final Fantasy 7 is coming to PlayStation 4 next year". Polygon . Vox Media. Archived from the original on March 5, 2016. Retrieved January 15, 2017. ↑ "DotEmu - August 14, 2012". DotEmu . Facebook. August 14, 2012. Archived from the original on January 2, 2016. Retrieved February 10, 2017. ↑ Allen, Jennifer (June 30, 2016). "DotEmu's bid to port Titan Quest to smartphones". Gamasutra . UBM TechWeb. Archived from the original on July 2, 2016. Retrieved February 10, 2017. ↑ Lazarides, Tasos (July 7, 2016). "After Almost a Year on iOS, 'Final Fantasy VII' Is Out on Android". Touch Arcade. Touch Arcade. Archived from the original on December 13, 2016. Retrieved January 15, 2017. ↑ "Announcing PlayStation Classic's Full Lineup of 20 Games". PlayStation.Blog. Retrieved 2018-11-03. ↑ Madan, Asher (2019-02-13). "Final Fantasy VII lands on Xbox One in late March". Windows Central. Retrieved 2019-02-14. ↑ "Final Fantasy VII (PC)". Allgame. Rovi Corporation. Archived from the original on November 14, 2014. Retrieved September 4, 2012. 1 2 3 4 Nguyen, Thierry (September 25, 1998). "Final Fantasy VII". Computer Gaming World. Archived from the original on October 1, 2000. Retrieved April 14, 2010. 1 2 Alex C (August 14, 2001). "Final Fantasy VII: The game that made RPGs cool". Computer and Video Games . Future plc. Archived from the original on November 29, 2014. ↑ "Computer and Video Games - Issue 192 (1997-11)(EMAP Images)(GB)". archive.org. Archived from the original on July 17, 2013. 1 2 Edge Staff (October 8, 1997). "Final Fantasy VII Review". Edge . Future plc. Archived from the original on June 28, 2012. ↑ "Final Fantasy - famitsu Scores Archive". Famitsu Scores Archive. Archived from the original on July 14, 2008. Retrieved July 16, 2008. ↑ Andy; Paul; Reiner, Andrew (September 1997). "Final Fantasy VII: Better Than All the Rest". Game Informer. Archived from the original on September 13, 1999. ↑ "Final Fantasy VII - PlayStation Review". Game Revolution . 4 June 1998. Retrieved 9 March 2001. ↑ Nomali, Nicola (March 30, 2009). Parish, Jeremy, ed. "Final Fantasy VII: The Voice of the Planet". GameSpite Quarterly (13). Archived from the original on January 20, 2012. Retrieved January 29, 2012. ↑ Olafson, Peter. "Final Fantasy VII Review". Archived from the original on February 22, 2010. Retrieved September 4, 2012. ↑ Slo Mo, ed. (October 1997). "Official U.S. PlayStation Magazine" (109). IDG Communications Media: 46–47. ↑ Griffiths, Daniel (Christmas 1997). "Final Fantasy VII". GamesMaster (63): 34–37. ↑ Dulin, Ron (July 7, 1998). "Final Fantasy VII (PC)". GameSpot. CBS Interactive. Archived from the original on October 16, 2013. Retrieved March 8, 2010. ↑ Ward, Trent (June 24, 1998). "Final Fantasy VII review (PC)". IGN. News Corporation. Archived from the original on February 21, 2002. Retrieved March 8, 2010. ↑ "Finals". Next Generation . No. 34. Imagine Media. October 1997. p. 170. ↑ Bertram, Adrian (December 1997). "Official Australian PSX Review of FFVII". PlayStation Official Magazine – Australia . Retrieved 1 April 2019. 1 2 3 Kennedy, Sam; Steinman, Gary, eds. (2001). Official U.S. PlayStation Magazine August 2001; issue 47. Ziff Davis. p. 98. ↑ "The biggest selling game of all time: Final Fantasy VII". PC Zone (66): 2–3. August 1998. Retrieved 1 April 2019. 1 2 3 Wolf, Michael (September 1998). "Final Fantasy VII". PC Gamer US. Archived from the original on February 29, 2000. Retrieved April 14, 2010. ↑ "Reviews: Final Fantasy VII". PC PowerPlay (27): 78–79. August 1998. Retrieved 1 April 2019. ↑ "Reviews: Final Fantasy VII". PC Zone (66): 92–95. August 1998. Retrieved 1 April 2019. ↑ "Final Fantasy VII Reviews and Articles for PlayStation". GameRankings . Retrieved 1 April 2019. ↑ Frost, Stephen, ed. (September 1997). "PlayStation: The Official Magazine" (1). Imagine Media: 18. ↑ "Final Fantasy VII for PC". GameRankings . CBS Interactive . Retrieved June 9, 2018. ↑ "Final Fantasy VII for PlayStation". GameRankings . CBS Interactive . Retrieved June 9, 2018. ↑ "Final Fantasy VII for PlayStation Reviews". Metacritic . CBS Interactive. Archived from the original on August 6, 2011. Retrieved July 13, 2013. ↑ "Final Fantasy VII Quiz". VideoGame Spot. February 4, 1997. Quoted in "Final Fantasy VII Enthusiast Coverage" (PDF). Polygon (Part of a collection of internal SCEA documents compiled by former Sony senior product manager David Bamberger for "Final Fantasy 7: An oral history"). Vox Media. January 9, 2017 [First published c. March 1997]. p. 18. Retrieved May 13, 2018. ↑ "Retailers Nationwide Break Official Release Date of PlayStation's "Final Fantasy VII" Videogame". Find Articles. Business Wire. September 1997. ↑ "PlayStation's "Final Fantasy VII" Breaks Industry Records in Debut Weekend". Find Articles. Business Wire. September 1997. ↑ "PlayStation's Final Fantasy VII Has Sold More Than Half a Million Copies to Date". Find Articles. Business Wire. September 1997. 1 2 "Final Fantasy VII For PlayStation Hits Million-Unit Mark; Latest Sell-Through Numbers Make Square's Final Fantasy VII Worldwide Best Seller". Find Articles. Business Wire. December 4, 1997. ↑ "Crisis Core -Final Fantasy VII-". Square Enix. 2006. Archived from the original on August 1, 2008. Retrieved July 16, 2008. ↑ McCarthy, Dave (April 28, 2008). "Crisis Core: Final Fantasy VII UK Interview". IGN. Archived from the original on February 21, 2009. Retrieved December 3, 2008. ↑ "2006年ゲームソフト年間売上TOP500" [2006 Game Software Annual Sales Top 500]. Famitsū Gēmu Hakusho 2007ファミ通ゲーム白書2007[Famitsu Game Whitebook 2007] (in Japanese). Tokyo: Enterbrain. 2007. p. 387. ISBN 978-4-7577-3577-4. JPNO 21240454. Archived from the original on June 26, 2015. ↑ Webster, Andrew (May 2010). "Masterpiece: Final Fantasy VII". Ars Technica. Archived from the original on January 30, 2012. Retrieved February 8, 2012. ↑ Final Fantasy Retrospective Part V (GameTrailers.com feature). GameTrailers. August 13, 2007. Archived from the original on December 8, 2009. Retrieved July 16, 2008. ↑ Kraus, Alex (August 29, 2006). "'Dirge of Cerberus' defies expectations, for better and worse". USA Today. Archived from the original on August 6, 2011. Retrieved July 16, 2008. ↑ GameSpot Editorial Team. "The Greatest Games of All Time". GameSpot. Archived from the original on December 19, 2008. Retrieved July 16, 2008. ↑ Yip, Spencer (August 19, 2015). "Final Fantasy VII Has Sold Over 11 Million Units Worldwide". Siliconera. Curse, Inc. Archived from the original on March 24, 2016. Retrieved March 26, 2017. ↑ "FINAL FANTASY VII". Steam Spy . Retrieved 11 April 2018. ↑ Orland, Kyle (July 6, 2018). "Valve leaks Steam game player counts; we have the numbers". Ars Techinca. Archived from the original on July 10, 2018. Retrieved September 20, 2018. ↑ "Final Fantasy VII Review". GameFan. Metropolis Media (Volume 5 Issue 9): 68–69. September 1997. ↑ Castomel. "Final Fantasy VII—Review". RPGamer. CraveOnline. Archived from the original on March 6, 2016. Retrieved July 16, 2008. ↑ Long, Andrew. "Final Fantasy VII—Review". RPGamer. Archived from the original on March 6, 2016. Retrieved July 16, 2008. ↑ Olafson, Peter (November 24, 2000). "Review: Final Fantasy VII". GamePro . Archived from the original on October 23, 2008. Retrieved July 16, 2008. 1 2 3 4 "Final Fantasy VII". Next Generation Magazine. June 24, 1998. Archived from the original on December 5, 1998. Retrieved April 14, 2010. 1 2 3 Bauman, Steve (July 27, 1998). "The console's greatest RPG has a difficult PC birth". Computer Games Magazine. Archived from the original on February 25, 2002. Retrieved April 14, 2010. ↑ "1998 1st Interactive Achievement Awards". Academy of Interactive Arts & Sciences. 1998. Archived from the original on October 23, 2010. Retrieved December 29, 2011. ↑ "Origins Awards winners". Origins Awards, RPGnet. July 6, 1998. Retrieved December 29, 2011. ↑ "Readers' Choice Awards". Electronic Gaming Monthly (104): 100. March 1998. ↑ EGM staff (2001). "Electronic Gaming Monthly's 100 Best Games of All Time". Archived from the original on June 20, 2003. Retrieved February 14, 2011. ↑ "IGN's Top 100 Games of All Time". IGN. 2018. Retrieved August 11, 2018. ↑ Chris Leigh (November 14, 2005). "The Greatest 100 Games Ever: 5-1". PALGN. Archived from the original on June 17, 2014. ↑ Cork, Jeff (November 16, 2009). "Game Informer's Top 100 Games of All Time (Circa Issue 100)". Game Informer . Archived from the original on February 13, 2016. Retrieved December 10, 2013. ↑ Satterfield, Shane; Fielder, Lauren (2001). "15 Most Influential Games of All Time". GameSpot . CNET. Archived from the original on May 20, 2007. ↑ Boba Fatt; the GamePros. "Feature: The 52 Most Important Video Games of All Time (page 4 of 8)". GamePro. Archived from the original on September 13, 2008. Retrieved April 25, 2007. ↑ GamePro Staff (June 24, 2009). "20 Games That Changed Gaming Forever". GamePro . PC World. Archived from the original on March 14, 2017. Retrieved January 11, 2017. ↑ "All-TIME 100 Video Games". Time. Time Inc. November 15, 2012. Archived from the original on November 15, 2012. Retrieved November 15, 2012. ↑ "Reader's Choice Top 300 Games Of All Time". Game Informer. Retrieved April 3, 2018. ↑ "The 25 best PS1 games of all time". gamesradar. Retrieved April 3, 2018. ↑ Gantayat, Anoop (November 22, 2007). "Nomura Talks FFXIII". IGN. Archived from the original on November 23, 2007. Retrieved July 16, 2008. ↑ GamePro Staff (November 5, 2008). "The 26 Best RPGs of All Time". GamePro. Archived from the original on November 30, 2011. Retrieved February 14, 2011. ↑ Noble, McKinley (May 18, 2010). "The 30 Best PSN Games". GamePro. Archived from the original on September 24, 2010. Retrieved September 5, 2010. ↑ Hollander, Cooper (March 12, 2012). "The Top 7… Saddest video games that will make you cry". GamesRadar . Future plc. Archived from the original on October 29, 2012. ↑ GameSpy Staff. "Top 25 Most Overrated Games". GameSpy. Archived from the original on July 6, 2008. Retrieved July 16, 2008. ↑ IGN Staff (January 12, 2000). "Reader's Choice Game of the Century". IGN. Ziff Davis. Archived from the original on April 9, 2012. Retrieved December 30, 2011. ↑ Edge Staff (March 3, 2006). "Japan Votes on All Time Top 100". Edge . Future plc. Archived from the original on August 14, 2011. Retrieved July 16, 2008. ↑ "Spring 2009: Best. Game. Ever". GameFAQs. Archived from the original on June 10, 2009. Retrieved June 10, 2009. ↑ Ashcraft, Brian (March 6, 2008). "Dengeki Readers Say Fav 2007 Game, Fav of All Time". Kotaku. Archived from the original on March 28, 2008. Retrieved March 29, 2008. ↑ Orland, Kyle (February 22, 2008). "Final Fantasy VII ported to the Famicom. Finally!". Joystiq . AOL. Archived from the original on January 28, 2015. Retrieved February 22, 2008. ↑ Studio BentStuff, ed. (2001). Final Fantasy X Ultimania Ω (in Japanese). DigiCube/Square Enix. p. 191. ISBN 978-4-88787-021-5. ↑ Kennedy, Sam; Steinman, Gary, eds. (2001). Official U.S. PlayStation Magazine August 2001; issue 47. Ziff Davis. p. 90. ↑ "Behind The Game The Creators". Square Enix North America. Archived from the original on April 16, 2008. Retrieved July 16, 2008. ↑ Oliver, Glen (July 11, 2001). "Review of Final Fantasy: The Spirits Within". IGN. Archived from the original on September 26, 2008. Retrieved July 16, 2008. ↑ インタビュー"ファイナルファンタジーXIII". Dengeki Online (in Japanese). ASCII Media Works. June 2, 2006. Archived from the original on September 27, 2013. Retrieved November 24, 2013. ↑ Witham, Joseph. "Final Fantasy X International Europe Bound". RPGamer. Archived from the original on January 4, 2009. Retrieved July 16, 2008. ↑ Dunham, Jeremy (November 24, 2003). "Final Fantasy X-2 Developer Interview". IGN. News Corporation. Archived from the original on August 10, 2012. Retrieved July 16, 2008. ↑ "Square Enix Party Press Conference Announcement". Square Enix. May 14, 2007. Archived from the original on May 17, 2007. Retrieved July 14, 2007. ↑ IGN Staff (November 21, 2002). "Kingdom Hearts Final Mix Images". IGN. News Corporation. Archived from the original on June 29, 2011. Retrieved July 16, 2008. ↑ "『キングダム ハーツII ファイナル ミックス』に新要素が!!". Famitsu (in Japanese). Enterbrain. March 24, 2007. Retrieved July 16, 2008. ↑ Holleman, Patrick (2018). Reverse Design: Final Fantasy VII. CRC Press. pp. 36–38. ISBN 9780429834523. ↑ Parish, Jeremy (23 March 2017). "Final Fantasy VII Deep Dive, Part 5: An RPG Gets Existential With Its Central Question: "Who Am I?"". USgamer . Retrieved 26 March 2019. ↑ Holleman, Patrick (2018). Reverse Design: Final Fantasy VII. CRC Press. p. 38. ISBN 9780429834523. ↑ Square (November 15, 2002). Kingdom Hearts. PlayStation 2. Square Electronic Arts. Hades: That little punk is your next opponent, okay? Now, don’t blow it. Just take him out. / Cloud: The great god of the Underworld is afraid of a kid? Sorry, but my contract says— / Hades: I know! You think I don’t know? I wrote the contract! I know it says you’re only required to kill Hercules in this tournament. But you’ve gotta fight that kid to get to him. Come on. Hey, it’s like that old goat says: Rule 11: It's all just a game, so let loose and have fun with it! I mean, a casualty or two along the way is no big deal, right? ↑ Gantayat, Anoop (September 14, 2010). "This Week's Pre-TGS Flying Get". Andriasang. Archived from the original on September 16, 2010. Retrieved September 14, 2010. ↑ Hollinger, Elizabeth (1997). Prima's Official Strategy Guide Final Fantasy Tactics. United States of America: Prima Publishing. p. 82. ISBN 978-0-7615-1246-2. ↑ Goldfarb, Andrew. "Final Fantasy 7's Cloud Coming to Super Smash Bros Wii U, 3DS". IGN . Ziff Davis. Retrieved November 12, 2015. ↑ Gantayat, Anoop (October 27, 2004). "New Final Fantasy VII For PSP". IGN. News Corporation. Archived from the original on December 16, 2014. Retrieved September 15, 2008. ↑ Gantayat, Anoop (May 27, 2004). "Before Crisis FF7 Details". IGN. Archived from the original on March 7, 2016. Retrieved October 8, 2008. ↑ Watanabe, Yukari, ed. (2006). Final Fantasy VII Advent Children - Reunion Files - (in Japanese). SoftBank. p. 95. ISBN 978-4-7973-3498-2. ↑ Dunham, Jeremy (August 11, 2006). "Dirge of Cerberus: Final Fantasy VII Review". IGN . News Corporation. Archived from the original on May 25, 2011. Retrieved October 8, 2008. ↑ IGN Staff (May 17, 2006). "Crisis Core FFVII Update". IGN . News Corporation. Archived from the original on February 7, 2012. Retrieved October 8, 2008. ↑ Studio BentStuff, ed. (2005). Final Fantasy VII Ultimania Ω (in Japanese). Square Enix. p. 572. ISBN 978-4-7575-1520-8. ↑ Cassady, David; Games, Brady (June 1, 1998). Final Fantasy VII: Official Strategy Guide. Brady. ISBN 978-1566867825. ↑ Buchanan, Levi (March 10, 2005). "Final Fantasy VII Snowboarding". IGN . News Corporation. Archived from the original on January 18, 2014. Retrieved July 16, 2008. ↑ Palley, Steve (April 5, 2005). "Final Fantasy VII Snowboarding Review". GameSpot . CBS Interactive. Archived from the original on December 30, 2013. Retrieved September 17, 2008. ↑ "Square Enix Brings Final Fantasy VII Snowboarding and Musashi Mobile Samurai 3D Titles to V CAST from Verizon Wireless". Square Enix. March 14, 2005. Archived from the original on September 30, 2012. Retrieved September 17, 2008. ↑ eBooks.com. "eBooks.com The World's Leading Source of eBooks". sec.ebooks.com. Retrieved 2018-04-29. ↑ Ishaan (December 19, 2014). "Cloud And Reno Engage In A Bike Duel In Final Fantasy VII G-Bike Trailer". Siliconera. Archived from the original on August 23, 2016. Retrieved January 10, 2017. ↑ "The Compilation of Final Fantasy VII Ultimania Translations – The Lifestream". thelifestream.net. Retrieved April 20, 2018. ↑ "Final Fantasy VII VR Coaster Coming To Universal Studios In Japan - VR News, Games, And Reviews". www.vrandfun.com. Retrieved 2018-04-21. ↑ Allen, Jason (May 16, 2005). "E3 2005: Eyes-on the Final Fantasy VII Tech Demo". IGN. Archived from the original on November 6, 2012. Retrieved July 16, 2008. ↑ Sato (June 23, 2015). "Final Fantasy VII Remake Will Be More Realistic, But Won't Have New Characters". Siliconera. Retrieved January 10, 2017. Wikimedia Commons has media related to Final Fantasy VII .